You love the idea of bringing the outdoors in with a variety of greenery in your sunroom. The good news is, you are more likely to maintain a green thumb with plants on the inside than you would outdoors, where they are exposed to harsh weather and insects. But what are some of the best choices for your Texas sunroom? The fern is one of the most popular choices for an indoor plant. Ferns bring the pure, clear greenery of the forest right into your home. They make good hanging plants, or they can be placed in pots on tables. Ferns require plenty of humidity, so make sure to keep the soil moist and mist the leaves with a spray bottle regularly. Spider plants also make good hanging plants and are a common choice for indoor areas. They require indirect sunlight and good drainage. The wonderful thing about spider plants is that they produce offspring, or spider babies, which can be clipped and potted to start a new plant. The ficus tree is a large plant that can reach 6-feet-tall. If you have enough room for this kind of expansiveness, it is a great selection. The ficus should be watered regularly and left in one spot. The colorful African Violet is wonderful for tabletops. They thrive as potted plants and bring rich color to an indoor space. They enjoy indirect light and a comfortable room temperature. Aloe Vera is such a versatile succulent. They bring greenery indoors, AND the sap from their leaves is soothing to burns (especially sunburn). A hibiscus plant will add a tropical flair to your sunroom. The blooms come in a variety of colors and hues. Hibiscus prefers adequate drainage and closely-fitted pots. Whatever your eventual variety of indoor plants includes, remember they should be compatible as to the temperature and humidity each requires. They can be arranged throughout the room according to the amount of light they need to thrive. 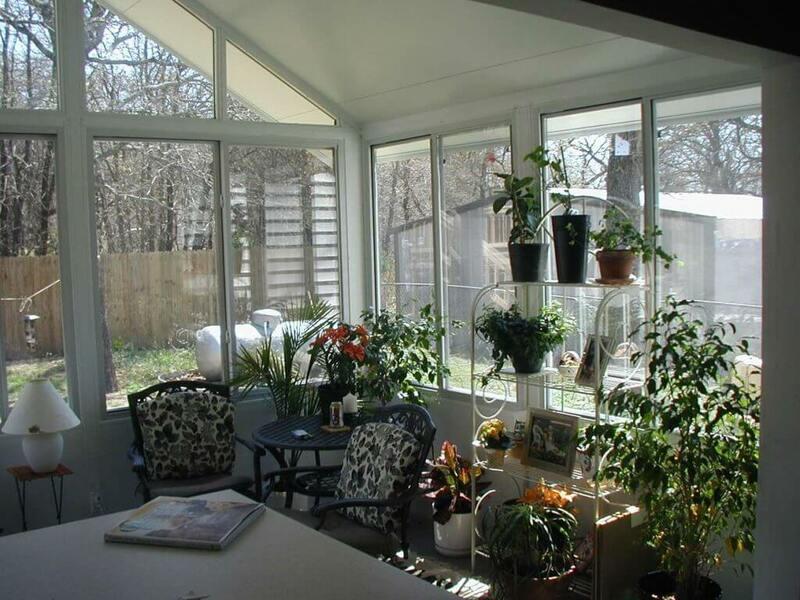 Remember to call Sunshine Sunrooms for all your sunroom and home general contracting needs at (972) 243-5390.